Mindful Lamp reads your emotions through daily Facebook feeds, then reacts to them by changing its color and shape. The goal is to help people to achieve meditative state and promote well-being. 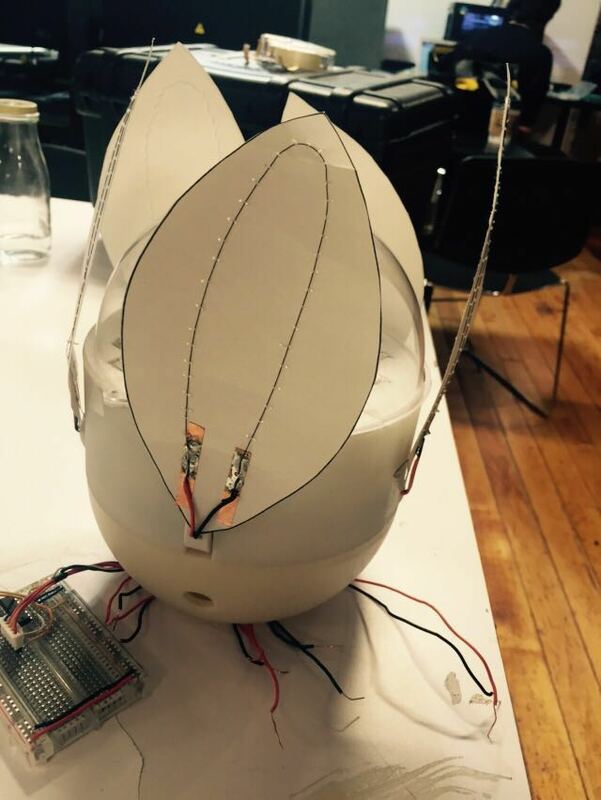 Mindful lamp collects data from your social media accounts, analyzes daily feeds by text sentiment analysis and gauze intensity of emotions. And then, the data is sent to the server ready for lamp to fetch. Ideal ways to get emotion should be user-passive, unconscious, with minimum user direct input and as seamless as possible. Based on these rules, we decide to use public feeds in social account. 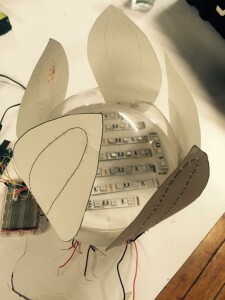 Mindful Lamp collects data from your social media accounts. 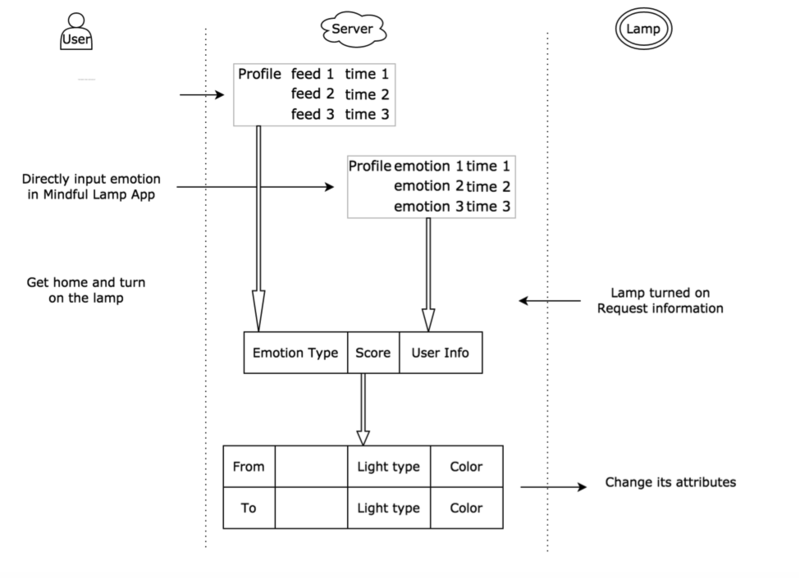 Analyze daily feeds in these accounts by text sentiment analysis to get emotion values. After analysis of the text and combination, these data will be sent to the lamp. Facebook login and request user’s public feeds. Mindful Lamp’s shape recalls the connection between meditation and nature. It is shaped like a flower, which allows the lamp to represent different emotional states. when it opens in full bloom, it is energetic and bright. And it is calm and soothing when closed like a bud.